A spokesperson for the Delray Ray Beach Police Department said the train - traveling north from Fort Lauderdale to West Palm Beach - hit the man just after 12:30 p.m. near the Southeast Fourth Street crossing. Authorities say a man has been hit and killed by a Brightline high speed train in Delray Beach, Palm Beach County. 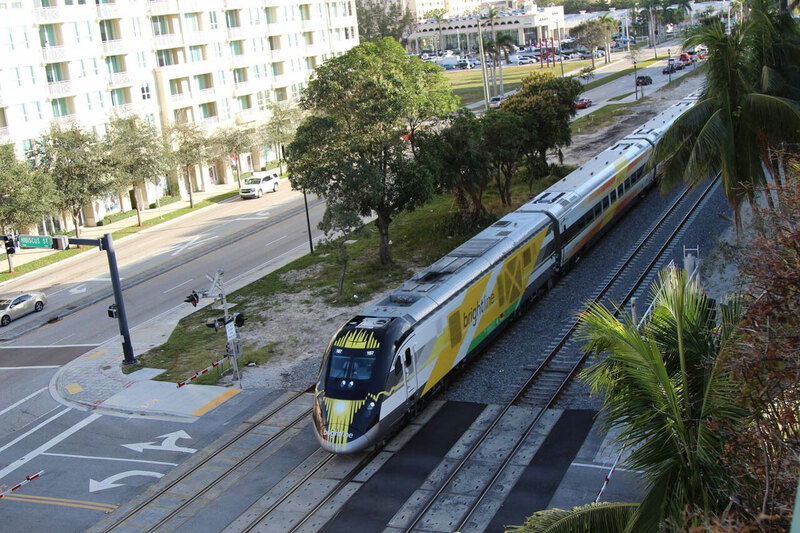 At 12:47 p.m. a northbound Brightline train struck a pedestrian approximately 100 feet south of the Southeast 4th Street crossing. The male was pronounced deceased at the scene by DBPD. Any witnesses are urged to call DBPD Det. Joseph Hart 243-7800. The man, who was not identified, was pronounced dead at the scene, police said. Delray Beach police did not describe the circumstances that led to the man’s death, and said it was too soon to say whether Sunday’s incident was a suicide, but some of the previous Brightline deaths have been ruled as suicides. But a Brightline spokesperson said in an emailed statement said that “from initial information gathered, it appears today’s incident was a suicide” and that they continue to work with the local authorities.